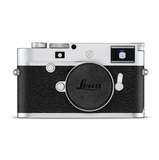 Perfect for wedding photography, street photography or anywhere that requires a level of discretion. The Leica M10P has been fitted with the quietest shutter of any of the previous M series cameras enabling the photograph to be taken in the most difficult of situations. 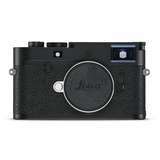 Perfect for taking performance shots in the theatre or other similarly sound sensitive venues, the M10P gives the high quality images you would expect from the Leica M range of cameras .... with a whisper. Compact and ergonomic Leica have done away with the iconic red dot usually found on the front of Leica M's and replaced it with understated Leica lettering on the top plate. Manufactured to the same high standards as the rest of the M range, it has touch functionality, Wifi capabilities and an integrated level alignment for those perfect horizons.